Complete an online application form to apply for APC financial support. We will contact you to initiate the payment process with the publisher if we approve your request. We usually pay APCs via secure credit card link once we have an invoice. The Library has funding from an UKRI* block grant to pay article processing charges. This grant will enable authors to comply with their funder's open access policy. Annual grant awards are made to the University and we provide financial support to researchers on a first come, first served basis. More information about the UKRI open access policy and the current version of the FAQ section (April 2018) can be found on their website. *UKRI (formerly RCUK) includes AHRC, BBSRC, EPSRC, ESRC, MRC, NERC, NC3Rs and STFC. Your research must be funded by UKRI and your eligible paper must be a peer reviewed journal article or conference proceeding. You must use a gold open access route. This means that the paper is available for immediate unrestricted online access at no cost to the end user. The corresponding author or grant holder must be a current member of Swansea University. Apply for funding when your article is accepted for publication and provide documentation to support the application (acceptance email). We would also encourage you to upload the Author Accepted Manuscript (AAM) when submitting a request. The journal should use a creative commons CC-BY licence, which allows downloading and the use of text and data mining tools. It should also allow immediate deposit in other repositories. This can be checked using the Sherpa FACT compliance tool or by checking the journal's OA web page. Please comply with all of the funder's requirements, for example, EPSRC now require a 'Data Access Statement' in all publications. 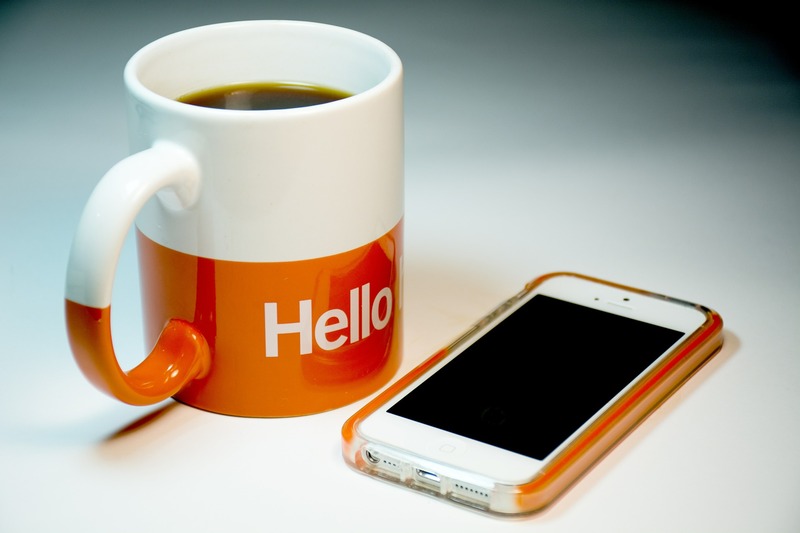 You must acknowledge the UKRI grant in your article and include the grant number. Examples of funder acknowledgment and data access statements are available from our Open Access FAQs. You are required to upload the publisher's pdf version of record to the Research Information System (RIS) and Cronfa as soon as possible after publication. We do not accept applications for retrospective conversion to gold open access for articles that are already published (HEFCE OA FAQ see 10.1-10.3). Where we are able to reduce the cost of publishing Gold OA in subscription (hybrid) journals via offsetting deals or membership schemes, the information is available on the 'Publisher Discount' tab on this page. Which licence should I pick? What licenses are compliant with the UKRI (RCUK) OA policy? 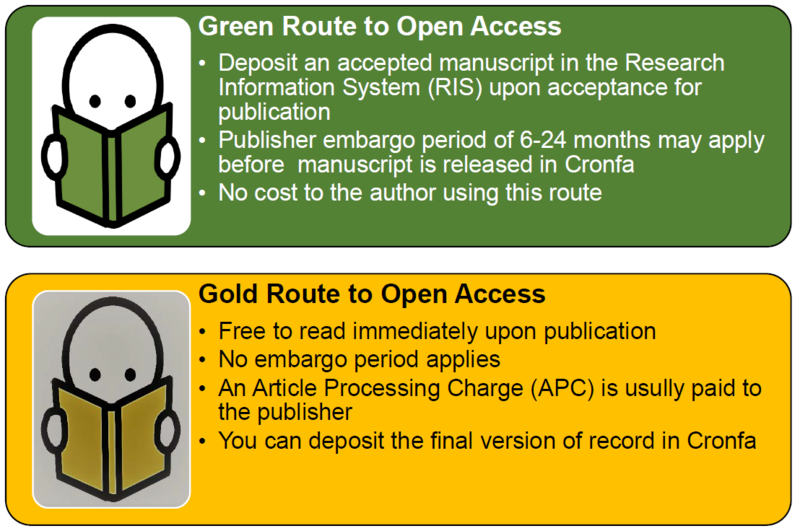 The open access policy stipulates that all publications arising from UKRI funded research must either be available as immediate open access (gold route) or a copy of the author's accepted manuscript must be placed in the repository, Cronfa with an acceptable embargo period and licence (green route). Where an APC is paid, it is a requirement that the licence applied is CC-BY. The UKRI (RCUK) preference is for CC-BY, however, the formal requirement is that the licence places no restriction on non-commercial reuse, including non-commercial text-and data-mining. The licence should also allow for the sharing of adaptations of the material. This means a CC-BY-NC licence, or equivalent is acceptable. A CC-BY-NC-ND licence is not compliant. Embargo periods of 12 months are permissible for Arts, Humanities and Social Science journals and 6 months for Science, Technology, Engineering and Medical Journals for authors choosing the green route. Open Government Licence (OGL) - Crown Body employees. The Library has signed up to several deals with publishers that discount the cost of Gold Open Access. Authors should also note that some learned societies and publishers also offer discounts to individual members. Check for details when you select to pay an APC. You may also be eligible to apply a subscribing institution discount by selecting 'Swansea University' if prompted from a list of institutions. For example, the American Chemical Society. In the MDPI submission system, authors must select Swansea University to get a 10% discount. You will be asked to confirm if you are eligible for UKRI (RCUK) funding. If you are not eligible you will still receive the discount but will need to pay the APC from your own budget or grant. For UKRI financial support apply in the first instance using the Swansea University gold APC online form. All authors based at Swansea University are entitled to a discounted rate of £200. All submitting authors are alerted to the fact that the SAGE Choice option exists for a title when they are sent an acceptance email, and again when they are sent the Contributors Agreement to authorise. If you follow the link provided by either of these forms you will be directed to a SAGE Choice Invoice Template. On acceptance of your article enter the code, WHEEL2017 into Sage's Publishing Agreement form in the “University / Institution Account Code” field. Select the CC-BY licence option in this form. Please return the SAGE Choice Invoice Template to the relevant email address at SAGE as instructed on the form. An invoice for the discounted rate of £200 will be raised. UKRI (RCUK) authors who require financial support from Swansea University to pay the SAGE discounted APC should submit a request in the first instance using the Swansea University RCUK gold APC online form. This deal only applies to the titles that are in the SAGE Choice Scheme and in SAGE Premier until December 2018* (*extended into 2019). Eligible Open Choice subscription based titles can be published for free via the UK Springer Open Access Agreement. The corresponding author may apply using the Springer portal (My Publication) which will initiate an approval process between the university and the publisher. There is no need to complete a request via the Swansea University UKRI APC online form. Please use your university email address. Institutional members may request access to the discounted pre-payment scheme for UKRI (RCUK) funded papers. In the first instance, upon acceptance for publication, apply for financial support using the Swansea University UKRI gold APC online form. If approved, you may initiate the Wiley open access order via the OnlineOpen mechanism. This will trigger a completion process between the university and the publisher. No Wiley invoice is required. The Wiley pre-pay account is not suitable for authors accessing College funding. The university does not maintain a centrally administered APC fund, however some Colleges have limited budgets for supporting REF eligible publications for their academic research staff. Approach your College to enquire if funding is available for gold open access. Apply when your paper is accepted for publication and before the paper is published. No retrospective applications will be considered. For a list of applicable criteria and an application form please contact the appropriate person in your College.